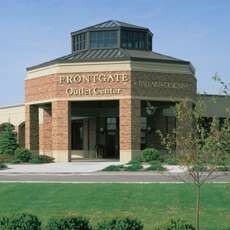 ﻿ Frontgate Outlet Center - Ohio. Find It Here. The Frontgate Outlet houses modern and fashionable designs for the home, garden, and traveling needs. Frontgate brands include: Ballard Designs, accents for home and garden; Garnet Hill, natural fiber home furnishings; Smith & Noble, customized window treatments; The Territory Ahead, clothing and accessories for the serious adventurer or armchair traveler; and TravelSmith, wrinkle-free travel clothes, indestructible luggage, and innovative travel essentials. Free, On-Site Parking, Credit Cards Accepted.